Mick Roche lives in the Inner West and loves everything about it. He also loves good food, produced with passion and respect for the environment. So when he was asked to help re-launch and operate the Pyrmont Growers Market, his response was a resounding YEAH! Mick has brought back all the previous popular vendors, as well as inviting exciting new-comers. 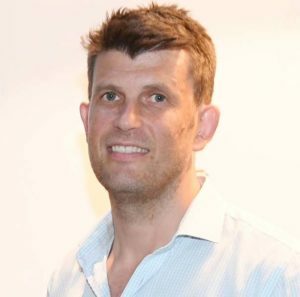 He plans to make the Pyrmont Growers Market a diverse and dynamic marketplace that will continue to evolve, surprise and sustain. This year, Mick will also be running the fabulous Pyrmont Festival in May 2017. Contact Mick regarding general market enquiries and to apply for a stall. Tawnya Bahr is a chef, food consultant and founding partner of Straight To The Source. Having worked 21 years in the food industry she continues to combine her culinary experience with her passion for promoting and supporting Australian producers. This experience has brought with it a vast network of farmers, producers and chefs, many of whom she works with in her varying roles within the hospitality industry. Chef trained in commercial cookery via Le Cordon Bleu Culinary Institute, Tawnya is a culinary judge with the Royal Agricultural Society and professional restaurant reviewer. Tawnya’s innate passion for food and cooking extends beyond the kitchen to production and agriculture making her one of the leading food consultants in the country. 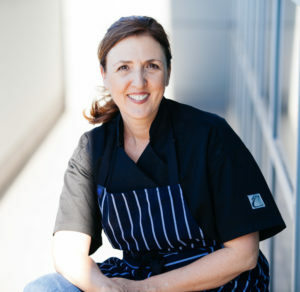 Tawnya’s broad range of experience includes creating and producing her own line of seafood sauces (The Condiment Connoisseur), owning a national gourmet distribution company, menu costing and writing, recipe development, ingredient sourcing and developing farmers’ market and Australian regional food tours. Founded in 1997, the Pyrmont Ultimo Chamber of Commerce (PUCC) aims to create a thriving, sustainable business community in the precinct. 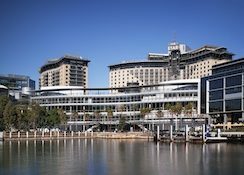 The Chamber’s vision is simple: make Pyrmont Ultimo a place where people love to eat, work, learn, explore, shop and transact business. PUCC is proud and happy to hold a monthly growers market with fresh produce and delicious foods in an idyllic location on the Pyrmont Bay foreshore. The Market has always been an integral part of the Pyrmont Community, and given the reaction of our neighbours to its re-launch there is no doubt that the Pyrmont Growers Market will be a success. Once again the market will offer unique gourmet produce and top quality fresh food straight from the field and farm as well as a variety of spaces where neighbours can come together to share a cup of coffee, catch up on the week’s news, enjoy the entertainment and local musicians. While the Australian National Maritime Museum is a national institution it is also Pyrnont’s local museum and we are committed to engaging with our neighbours. We are delighted to support our local community by sponsoring the Pyrmont Growers Market. As an institution focusing on Australia’s relationship with water, their commitment to sustainability is one that we greatly value and we are pleased to assist them in their important work.